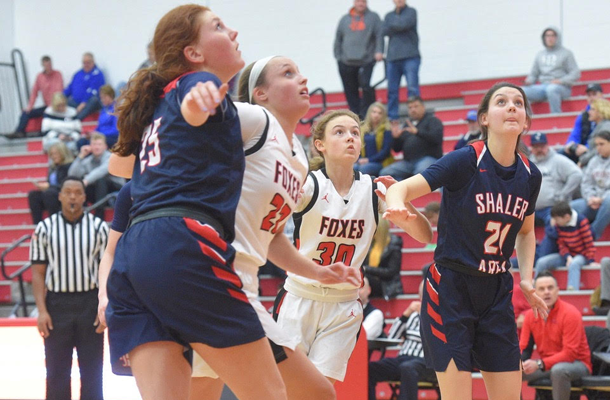 When the girls’ basketball team took on Shaler Area High School on January 28, they knew there was a lot riding on the game. It was their chance to clinch a WPIAL Class 6A playoff spot and they weren’t about to squander the opportunity. They didn’t and won the critical game 41-29. 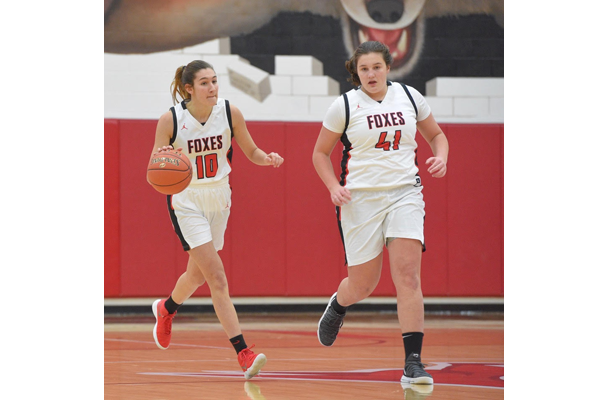 Over the years, head coach Jenn O’Shea has been in charge of quite a few basketball teams, but she says this year’s squad is her best since she took over the Foxes’ program five years ago. The team has been ranked by the Pittsburgh Post-Gazette as one of the top-five teams in WPIAL Class 6A for much of the season, but what makes them special goes much deeper than that. “All of our players are skilled, they work really well together, and they genuinely love winning as part of a group effort,” says Coach O’Shea. Along the way, the team had some rough spots. Their toughest losses were to North Allegheny (the top-ranked team in the state), Norwin, and Seneca Valley. “In those games, we had a lot of turnovers, got beat down the court, and didn’t communicate well,” says Domenica. 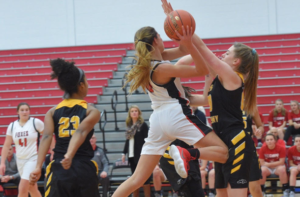 But they’ve also had games, such as the contest against Butler Area in December when they were down more than 10 points, came back to win, and then got a few more come-from-behind wins. That sentiment is on the minds of the players too. Hoping to make a difference this time around are senior varsity players Megan Friday, Danielle Moretti, and Grace Ritter; juniors Giovanna Anselmo, Claire Fenton, Gabby Guerrieri, and Kyrie Nestel; and sophomores Domenica Delaney, Samantha Dunlap, Allison Hager, Madyson Kondel, Marissa Ritter, and Ellie Schwartzman.